The volume of Bitcoin transactions is an essential factor in determining the progress of Bitcoin adoption, hence monitoring movements in this regard is imperative. As the year soon ends and the initial goal of breaking into the mainstream market this year becomes less likely to be achieved, the hope for Bitcoin to register monumental progress in 2016 strengthens. The potential for Bitcoin to push forward next year becomes more concrete with the recent significant increase in the trading volumes in Bitcoin exchanges hitting an all-time high. Over 2.86 million Bitcoin transactions were recorded on Nov. 26, according to the trusted Bitcoin data provider Bitcoinity. With the surprising rise of Bitcoin activities officially indexed, both the cryptocurrency and the mainstream markets are provided with a proof that Bitcoin has the means to become a stable and widely used payment system worldwide. 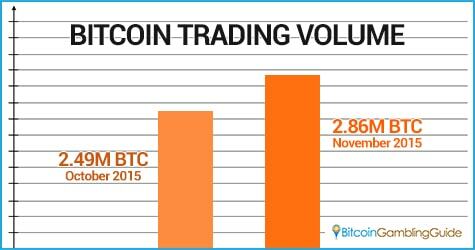 The latest trading volume overwhelmingly surpassed the October record, which indexed over 2.49 million bitcoins registered for all kinds of transactions. The record-breaking increase of the Bitcoin trading volumes not only reflects Bitcoin’s future in the mainstream market, but it also shows Bitcoin’s function as an alternative to real-money transactions. The Bitcoin trading surge took place on the same day the Black Friday shopping event started. Thus, specialists suggest that this time, more mainstream consumers are engaging themselves in Bitcoin purchases and trading. With a sea of marked-down products sold online, using Bitcoin proved after all that it is convenient, fast, and secure as compared to using credit cards for online purchases. As more consumers discover the benefits of using Bitcoin in the real-world setting, a higher demand for the cryptocurrency will ensue, resulting in larger increases in the trading volume on the exchanges. Helping make this scenario happen are the improved services offered by new and old Bitcoin exchanges. The trading processes before were complex and limited as compared to the functionalities provided today. 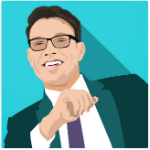 Take for instance the practical form of trading Bitcoin offered by BTTC, an innovative Bitcoin exchange that targets professional and new Bitcoin traders. While there is no question that the high Bitcoin trading volume rooted from the increase usage of cryptocurrency for online purchases, it should not be disregarded that the exchanges made specifically for gambling purposes also contributed to the latest trading volume record. During the Black Friday, several Bitcoin casinos and gambling sites also launched promotions to celebrate the much-awaited event. 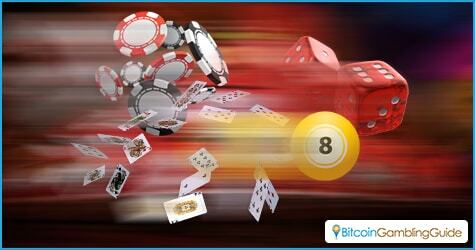 Bonus deals and other giveaways were up for grabs to make each bet on Bitcoin slots, poker, and other exciting games more worthwhile. In fact, BetChain Casino launched its week-long promo titled BetChain Black Friday Bonus Week, during which all first deposits made by the players would yield sizeable deposit bonus amounts. The promotion even ended with a special weekend bonus rewarded to 100 lucky players. Other than this Bitcoin casino, other gambling websites also held their own little ways to keep their customers ecstatic through their attractive set of Bitcoin casino bonus offerings. The strong appeal of Bitcoin gambling helps in promoting the use of Bitcoin in the mainstream setting—not just in online gambling but also in other fields. Thus, a higher trading volume in the next months will indicate the progress of Bitcoin.